No Child Left Behind Act Implications of the Southwest Educational Development Laboratory 211 E. 7th St. Austin, TX 78701-3281 512-476-6861 POLICY BRIEF... The No Child Left Behind Act (NCLB) passed by Congress late last year is a compromise version of many of President Bush’s education reform proposals intended to hold schools accountable for the academic achievement of their students. When the No Child Left Behind Act was passed in 2002, mobile phones were bulky, and most laptops connected to the Internet through an excruciatingly slow dial-up connection. 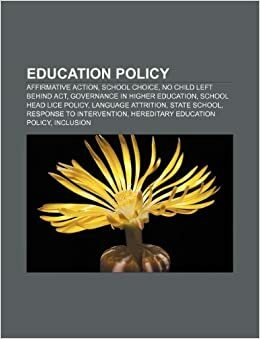 At the end of the day, the No Child Left Behind Act of 2001 (NCLB) is supposed to be about improving achieve- ment among low-achieving students in high-poverty schools.